Great article by Tracy Gray: found here includes pictures. 1. Using a 5 gallon white bucket, add 3 gallons of RO water. 2. Now add 1 or 2 drops of Lugol's Iodine per gallon of RO water. Place the colony in the white bucket right side up. Leaving it there for about 5 minutes. Then grab the rock and invert it and place it in the water 3 inches below the water surface. Now twist the rock as fast as you can in a clockwise and counterclockwise motion for at least a minute. what is the reasoning on the low iodine dosage? the suggested dose is 20 dropps per gallon, right? Awesome Post.I Dip every new coral I Can.It helps so much when you have pictures of things to look for. Interests:Woodworking, my wife, this whole fish thing. What about non acro eating flatworms? What strength and how long to dip new corals if using FWE? 1-2 drops in a cup of fresh sw, swish for 30 minutes? I use betadine (povidone iodine) for pretty much everything. 20min @ 15mL/gal. Also, the KMnO4 (potassium permanganate) that Eric wrote about recently works wonders on montipora nudis and their eggs. 1g/5gal for 60 min seems to do the trick. It will kill weakened montis though. It also helps with all zoanthid pests. Both of these are very cheap compared to the tropic marin stuff. I've used that too, and it works, but you can buy betadine by the quart in CVS. I was asked to share my Levamisole Dip recipe for AEFW. It contains 18.5g of levamisole Hydrochloride in a 500ml bottle. HTH anyone unfortunate enough to get these ruthless killers. Dan, what duration for the dip? Also have you tried a prolonged low dosage in your Q tank to get rid of eggs (as they hatch)? 15 min with a powerhead circulating the water pretty vigorously. I dip once a week for three weeks in the QT to take care of the entire life cycle 2 times over. I fear that a low dose would only injure the babies and not actually kill them, nothing kills the eggs that I am aware of. Well I have been told I have red bugs in my tank. I am a bit bummed about this and hope that I can get rid of them before they do much damage. IME red bugs won't kill your corals outright, but as the infestation grows it acts as a constant irritant. The irritation causes secondary problems like a reduction in polyp extension, color, and resiliance in the coral. Red bugs require a coral host to live, so there are two ways to treat your tank. One is to use interceptor on the entire tank; the other is to remove all your acroporas to a hospital tank where they can be treated. Your course of treatment will depend on how many corals you would have to remove and whether you can support the corals for several days in a stable hospital tank. Interceptor is designed to kill crustaceans and does not discriminate between red bugs and other benign inhabitants like shrimp, amphipods, copepods, and crabs. Different users report different results about whether it kills these "good guys" in their tanks. Interceptor is available as a presciption medication through your vet. Borneman had details of treatment protocols on his site, but I haven't been able to access it for some time. He's a forum moderator on Marine Depot so you could contact him there, or search for any updates to the treatment. You should eliminate the red bugs, but you're wise to take your time and plan this out. Jon's correct, they won't destroy your coral colonies, only irritate them. They can be found on certain smooth skin acros, but not Milliporas or Montiporas. It is suggested that Red bugs eat coral slime and not the coral. No need to panic. Tell your vet you have a "Pet" need at home in your reef tank. 1 pack of Interceptor for large dogs contains 6 brown tablets. Each tablet contains 23mg of Milbemycin Oxime and is enough to treat 380 gallons of water. Milbemycin Oxime will only kill adult Red Bugs and not the eggs/larvae. Therefore, multiple treatments are required. 3 treatments at 1 week intervals is suggested. Milbemycin Oxime will kill your other crustaceans. Not all of them, but many, including Stomatapods. 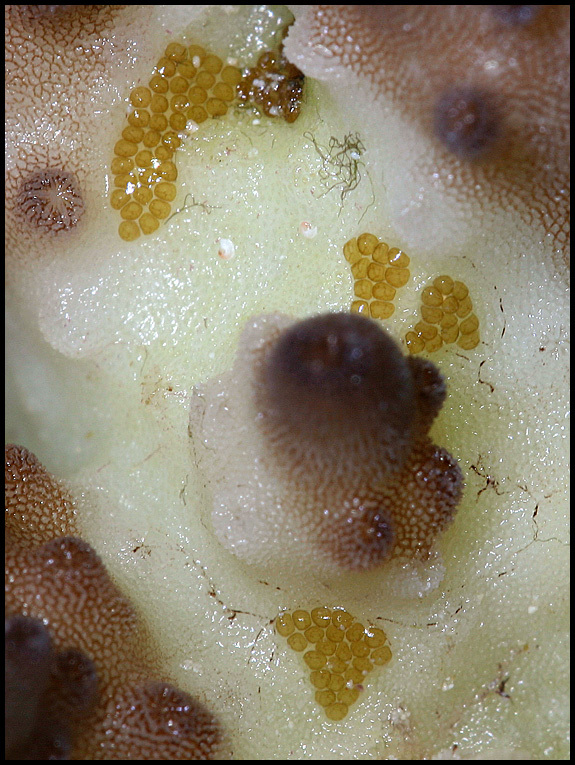 One time dips or baths for newly aquired corals with Red Bugs is insufficient because the eggs/larvae remain intact. Dips together with "Quarantine" is the only way to keep Red Bugs off you reef. When you say three treatment at one week intervals During the time after you medicated what do you do with the water before the next treatment. Do you keep the treated water in the tank between treatments, run carbon and water change after the first ect? I'm pretty sure it's been discussed that red bugs are livebearers, sort of like shrimp. If they die the eggs they are carrying will die too. When I treated for redbugs in 04 or 05, I dosed once and they never came back. You can add the interceptor directly to tank at the above dosage, just remove carbon and turn off air to your skimmer. I didn't even bother to do a water change, but if you have a lot of hermits (which will probably die) then you might want to have water ready for afterwards. What about brittle stars should they be removed as well. considering the fact that the only pets I have are fish, do you think if I went to a vet and told them the situation they would sell me some? I'm pretty sure it's been discussed that red bugs are livebearers. I missed those discussions. That would certainly make treatment easier. Most vets will be interested in your desire to irradicate a specific type of anthropod from your aquarium. However, it may be difficult to get it without a dog or cat. It's basically prescription medication. Carbon is usually added after 8 hours of treatment to absorb the Milbemycin Oxime. Especially if you have taken your inverts out during the treatment and want to put them back in fairly soon. It's possible that adding the inverts (hermits) back to the tank after treatment will also re-introduce red bugs back. Can anyone recommend a universal dip for all corals that you bring home and dip before you quarantine? Right now - I would suggest Revive, mixed per directions, for about 30 minutes. Most corals can handle a longer dip; but some look pretty worn out if you go much longer. Revive will kill snails, and make crabs very uncomfortable at least (i.e. - gorilla crab hitchikers are likely to be found scrambling around). Revive will make bristleworms crawl out of your rocks, and over time kill them. Kills pods. Kills AEFW. Kills Asterina starfish. Smells like pine-sol. I have been using my own 'garlic' dip for smaller corals and frags because it doesn't seem to harm corals, even after an hour. Doesn't harm pods or crabs or hermits - haven't tried snails yet. Kills AEFW. Smells like garlic! Recipe: One crushed 'Allicin 6000' tablet per liter for quick kill of AEFW - one tablet per 2 liters for a longer dip. I've had coral polyp extension while in the dip. No damage to corals, even after an hour in the dip. great info we have alot of trouble keeping the coral in good shape i will try that recipe on our next clean out will check for the eggs,coral looks great in tank but hard work to keep clean. I was experimenting for a little while with vodka as a treatment for red bugs. A 50% solution dipped for about 5-10 seconds seamed to kill all of the red bugs without killing the acro but I did experience some STNing as a result. If you can't get ahold of interceptor, this could be a last resort. hey what is the insecticide you can buy at home depot that we use as a coral dip? It is Bayer and is a dip only, not a whole tank cure.